Clearly I struggled with how to name this thread. 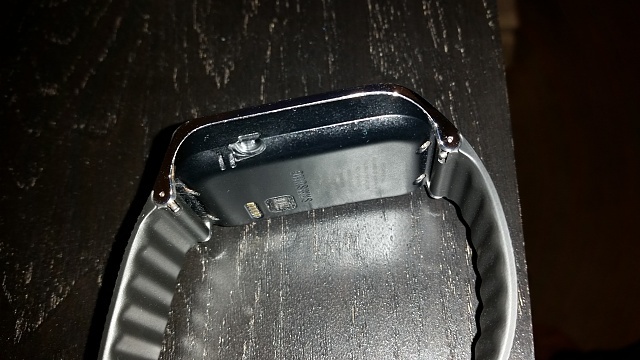 As seen in the image below, the casing of the watch where the charging port connects broke. Happened last night when trying to plug it in...now the charger won't stay connected. It appears the plastic material cleaved off from the pressure of the charger module. Very disappointing. I've worn this watch every day since it arrived shortly after release day, and have had very few issues. This is a big one, and initial contact with Samsung has not proven helpful, though that has only been through live chat. Trying to call tomorrow...hoping this is considered a manufacturer defect, as I think it should. Will update with any progress, but has anyone had the same issue? Anyone have any luck with Samsung replacing due to issues like this? Sorry to hear that. guess u will have to use a bit of tape to secure it for the time being. Update: Was letting the weight of my almost-closed nightstand drawer hold them together at night. Not preferable, but was a good temporary solution. For the sake of completeness (and obviously not because of all of the worried replies to this thread), one final update. I received my Gear 2 back today - just about 7 business days after it initially shipped out with their pre-paid shipping label. It was a 2-day Air shipment, so they received it, and 'accepted' the shipment a few days later. The same day or the day after, I received word that they replaced the parts necessary, and were shipping it back. It hit UPS the following day, and arrived to me today - 7 business days, total. Super quick and painless (once I finally got through to an agent in the first place). Overall, I'm super super satisfied. I would imagine my experience would be a bit different if they had contested that the damage was my fault...but not the case. From what I can tell, they replaced the actual watch itself, and just gave me my old band back. LG G3 Lock Screen 'Weather Animation' Broken? Qi charging pad that does not beep? Does the LG G3 D855 European 32/3 variant have built-in wireless charging? Why is my Nexus 7 slowly charging?